Want to be friends with GRC? Fatimid Foundation is the oldest and the largest NGO working for thalassaemia in Pakistan since 1978. GRC has been entertaining couples requesting prenatal diagnosis for thalassaemia referred by various centers of Fatimid Foundation across Pakistan. 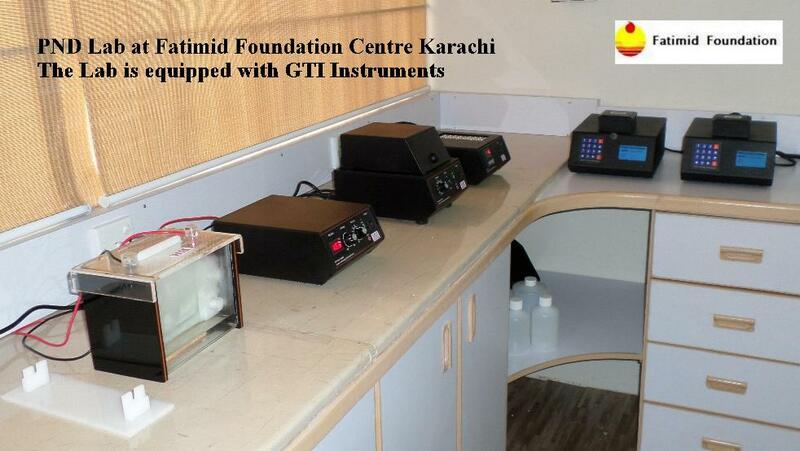 Recently GRC has equipped a fully functional prenatal diagnosis lab at the Fatimid Foundation Centre Karachi. This lab is the first of its kind established at an NGO in Pakistan. Most of the equipment installed at the Fatimid PND Lab has been manufactured at GRC. Copyright 2015 Fatimid FoundationGenetics Resource Centre .